Maxed out on user names and passwords, online consumers are remarkably receptive to social logins, like those offered by Facebook and Google. Some studies, in fact, show that over half of the 90% of consumers who encounter social logins use them to access various Web sites and services. Yet according to new research from Forrester, social logins remain the least adopted social “depth tactic” among digital marketers. Many marketers are missing the point, however. 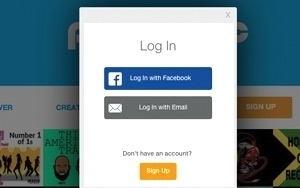 Social login is a complementary tool that can make registration easier for site visitors, while minimizing password management for a brand’s security team, according to Celestre. Through smart use of data, social login can increase both a brand’s understanding of its customers’ exploration needs, and the depth of their engagement, she insists. For example, after launching social login on its branded Web pages, the Dr Pepper Snapple Group gathered deeper insights on fans’ interactions with the brand, according to the Forrester report. This allowed the brand to fine-tune future social marketing campaigns and messaging.